Wall mounted Lean Light by Jenny Back suits contemporary and classic interiors, in particular bedrooms. 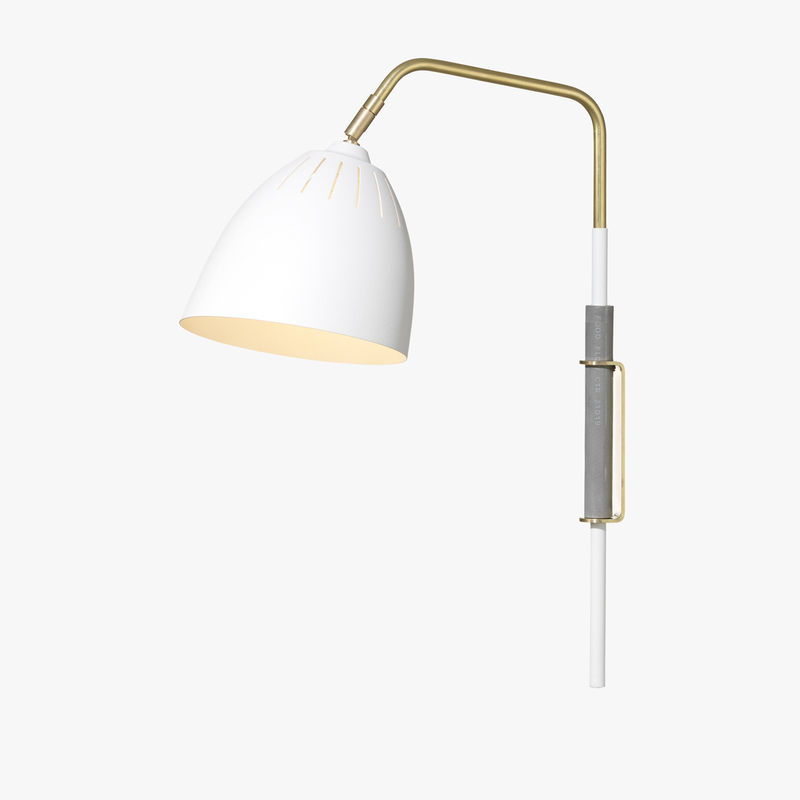 The light combines restrained design and graceful materials. Lean is a modern reinterpretation of classic early 20th Century designs, with accents of burnished brass and touches of raw industrial elegance. Available with a black or white adjustable shade.